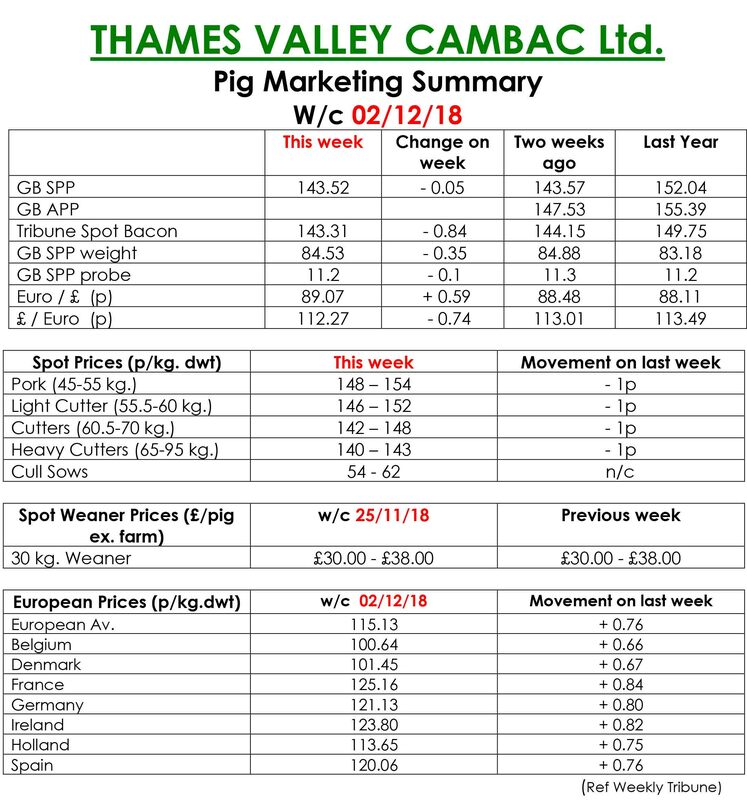 This week’s Slaughter Pig Marketing Summary from Thames Valley Cambac reported that a change in the month brought little change in fortunes. With only 15 slaughter days plus an odd Saturday left before the Christmas break, demand was pretty fickle. Most processors took the numbers they were committed to, but no extras. However, supply was ample, with many producers hoping for additional space to pull pigs forward. Prices eased back with most contract contributions down a penny or two. There was little scope to move any extra spot pigs either, so some pigs remained unsold. The fresh meat market was quieter, with end of the month blues blamed for a slump in orders, and prices eased a penny. 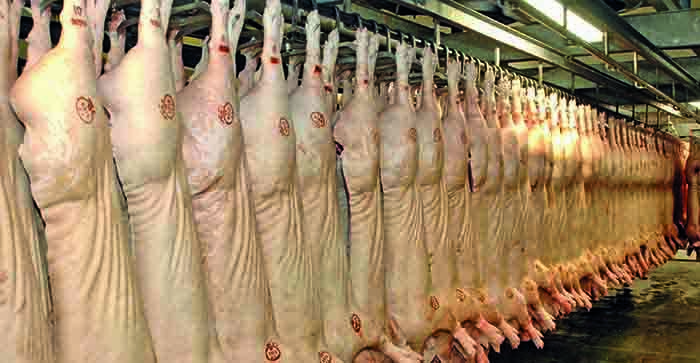 The cull sow market stood on indicating a degree of stability on the continent. In Europe, all markets stood on domestically, but quotes in sterling were enhanced by a stronger Euro that ended the week up 0.59p at 89.07p. In the Weaner Marketing Summary for week commencing November 25, reported that the market continued to struggle with many fatteners increasingly concerned by higher feed costs and uncertain future market conditions. Prices outside any contract arrangement were very low, and some batches remained unsold. 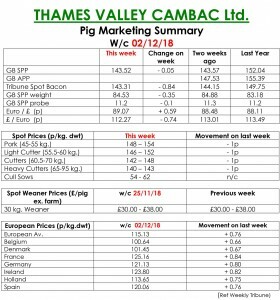 The prices announced by the AHDB saw no quote given for a 30kgs pig and the weighted average for a 7kg rise by £2.85 to £38.16. Woud you be open to feeding insect protein to your pigs if the price was competitive?